The Pyrenees of France offer the best of all worlds to those who love hiking, good food and fantastic scenery. 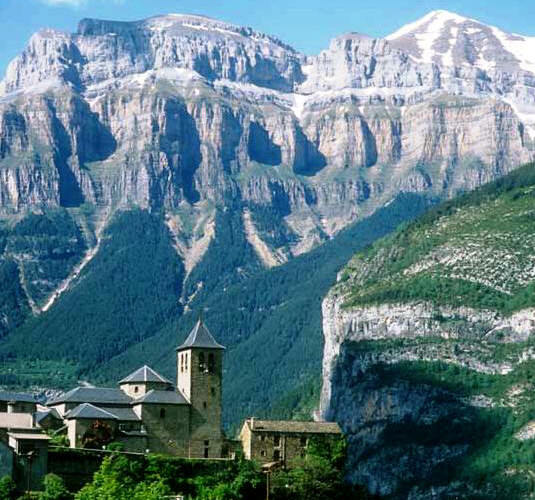 Gavarnie, a small skiing town tucked amid the highest peaks of the Pyrenees is home to some of the best hiking in the country. The towering Cirque de Gavarnie (Brecha de rolando pictured), one of the most famous land forms in France, shadows the small French village of only 250 people. Spend a week exploring the various cirques surrounding the area, finding hidden lakes and hiking to outlooks that give panoramic views of the spectacular peaks. We will stay at charming hotel built at the turn of the last century, back from the Golden Age of mountaineering in the Pyrenees. Valleys filled with wildflowers, gorgeous blue irises and vanilla orchids, make for pleasant walking. Hikes will reach places such as the Breach of Roland, a gateway to Spain or the Grand Cascade, the highest waterfall in Europe falling over 400 vertical meters. Many of the valleys are used as common grazing lands for local farmers. Small herds of heritage cattle give a glimpse into the traditions that have not left the region. Laws governing the grazing rights date back to Napoleon’s rule. The light tinkling of cowbells adds a beautiful ambiance with the rolling glacier-fed small brooks and snow dotted mountainsides.